Zonal isolation is an indispensable method of primary cementing by enabling production or stimulation operations to be conducted efficiently in wells. The method has gained prominence in mature field developments and is vital to the success of drilling operations. Effective zonal isolation is found to be helpful in improving the well’s producing potential by bring down the construction cost and minimizing the risk, thereby improving wellbore integrity. The process essentially prevents the cross-flow of gas, oil, and fluids across diverse geographical layers. With the growing complexity of oil wells, zonal isolation has become more than splitting the reservoir into compartments. The process of primary cementing encapsulates the use of cement sheath to provide primary zonal isolation in the annulus with a marked bonding and strength. This leads to restricting the fluid movement across the formations and support the casing. Cementing also helps in protecting the casing from any type of corrosion and from shock loads in case of a deeper drilling. Various applications of zonal isolation are gas shutoff, openhole testing, selective stimulation, acidizing, and plugging. The surge in interest in offshore basins among oil and gas exploration and production companies is accentuating the zonal isolation market. The rising shale gas exploration, especially in developed regions, and a constant rise in the number of drilling rigs are key factors boosting the demand for zonal isolation methods and the associated well construction technologies. Zonal isolation is a method being used extensively across the globe in order to prevent the cross flow of gas and oil across diverse geographical layers. The increasing demand for drilling activities in oil and gas plants is considered as one of the major aspects fuelling the growth of the global zonal isolation market in the next few years. Furthermore, the rising investments by governments and private organizations for drilling activities and exploration of new oil and gas reserves are predicted to supplement the growth of the overall market and generate lucrative opportunities for key players. The preferential shift of production and exploration activities from onshore to offshore is one of the major factors boosting the demand for zonal isolation method across the globe. 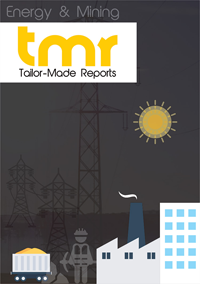 In addition, a tremendous rise in the drilling activities and the growing awareness among consumers regarding the benefits of implementing these methods are likely to accelerate the growth of the global zonal isolation market throughout the forecast period. On the other hand, stringent government rules and regulations for the use of zonal isolation methods are anticipated to restrict the growth of the global market in the next few years. Nonetheless, the development of innovative and advanced zonal isolation methods is expected to create promising growth opportunities for the key players operating in the global market. The rising production and exploration of oil and gas wells, especially in offshore fields across the globe is anticipated to boost the demand for zonal isolation in the near future. The increasing shale gas exploration and a substantial rise in the number of drilling rigs in order to meet the growing demand for crude oil are anticipated to fuel the growth of the market. Some of the key countries that are projected to contribute extensively towards the robust growth of the global zonal isolation market are Saudi Arabia, Canada, the U.S., Mexico, Russia, the UAE, Brazil, China, and Iran. Among the key regional segments, Europe is expected to witness a strong growth throughout the forecast period. The U.K. and Norway are considered to contribute extensively towards the growth of the Europe zonal isolations market in the next few years. In addition, the increasing production and rising investments in exploration activities are projected to encourage the growth of the market in the forecast period. Furthermore, the Middle East and Africa and North America are expected to witness a healthy growth in the next few years. A substantial rise in the number of drilling activities and the increasing expenditure for the search of new oil and gas reserves are projected to fuel the growth of the zonal isolation market in North America and the Middle East and Africa throughout the forecast period. The global market for zonal isolation is competitive in nature and is anticipated to witness a participation of several new players in the next few years. The growing focus of key players on research and development activities in order to provide innovative methods to consumers is anticipated to encourage the growth of the overall market in the next few years. Additionally, the rising number of strategic collaborations is predicted to augment the growth of the market in the near future. Some of the leading players operating in the zonal isolation market across the globe are Schlumberger Limited, Superior Energy Services, Expro International Group Holdings, Oilsery, Archer, Baker Hughes, TAM International, Inc., C&J Energy Services, Inc., FMC Technologies, Weatherford International, Halliburton Company, and Tendeka.